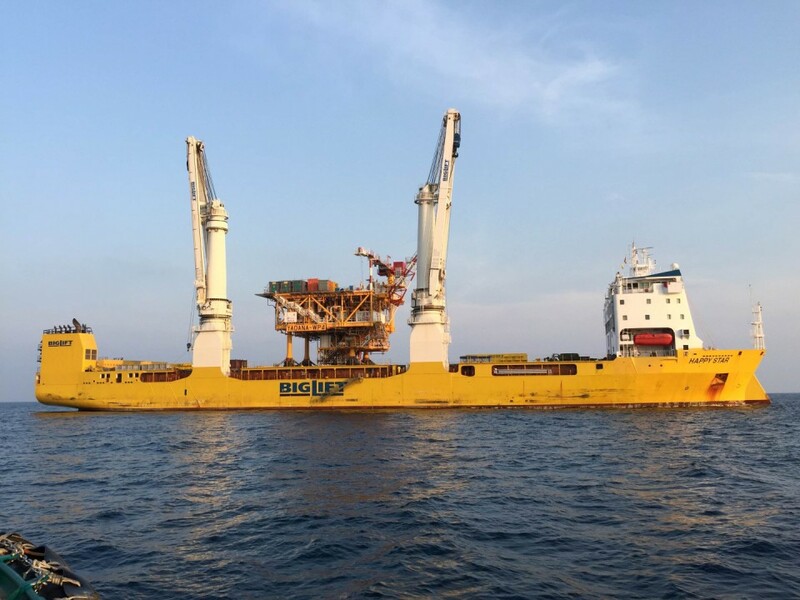 SapuraAcergy awarded BigLift Shipping the transportation contract for a wellhead production topside module for the Yadana gas field, off Myanmar. 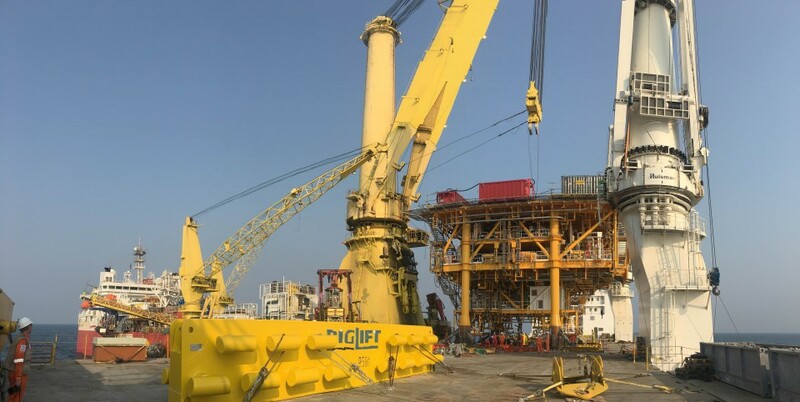 BigLift had to load the module in Ulsan, Korea, and take it to the Yadana field, where SapuraAcergy’s S3000 would lift it off and install it onto its offshore foundation. Happy Star loaded the topside module of just under 1,000 mt with her two 900 mt heavy lift mast cranes at Hyundai Heavy Industries in Ulsan. The most critical element in the project was the lifting operation and the cargo had several limitations in relation to the offshore discharge. A major challenge was the orientation of the topside module on deck which had to be exactly in position for the unloading operation. To achieve the correct orientation while loading, the topside module had to be lifted from the grillage on the quayside, brought above the cargo deck between the cranes, and then rotated to its final position. Happy Star’s wide beam provided ample stability and in combination with the crane capacities this ensured the shortest execution time and safest operation possible. The module’s eccentric centre of gravity and size created challenges in terms of lifting clearances, safe working load (SWL) and outreach. In the planning stages, comprehensive 3D simulations showed that when the module was turned to its final position, the minimum clearance between the cargo and Happy Star’s crane would only be 700 mm! 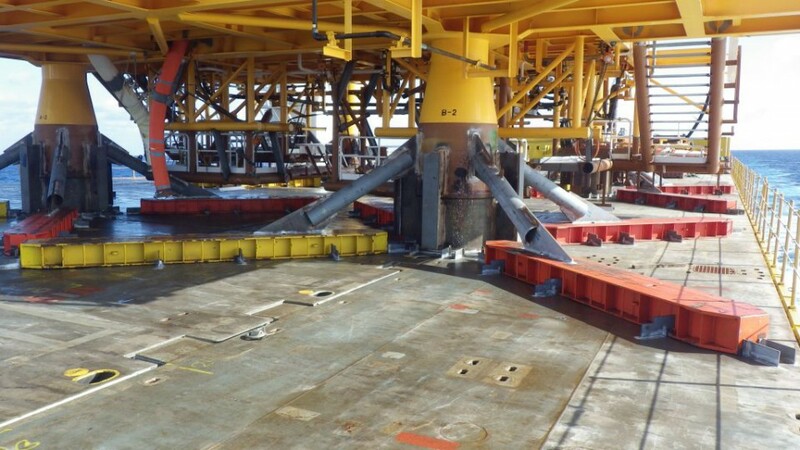 A second challenge was to design a grillage and sea fastening system capable of taking the anticipated loads in compliance with our client’s requirements. A detailed FEM analysis was carried out to prove the integrity of the proposed system and to identify and improve any weak spots. The design of the sea-fastening system focused on easy access to the cutting locations at no more than eye height. This dispensed the need to work at height offshore, increased safety and enhanced the ease of operation at the discharge location. The workshop drawings and Material Take Off list were delivered to pre-fabricate all components. 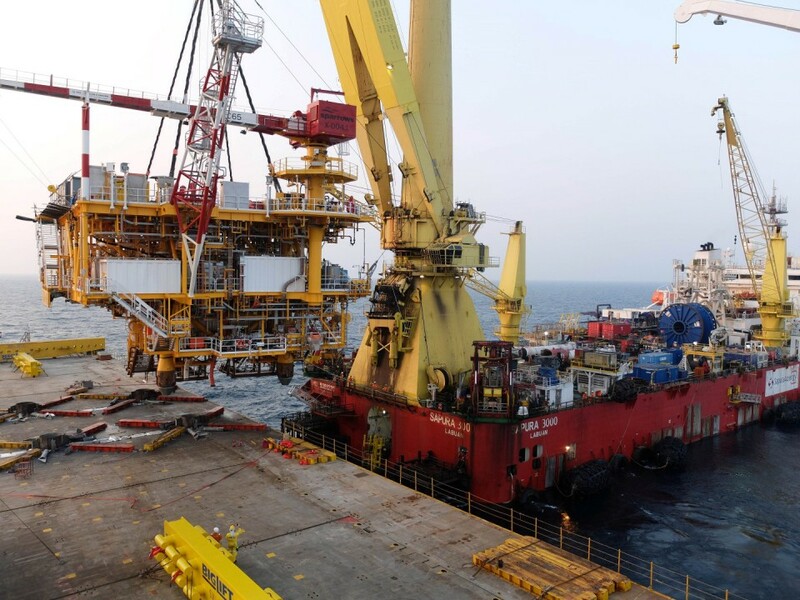 The discharge operation, including the mooring operations and lifting preparations, had been planned as carefully as the loading sequence. After a short sea voyage Happy Star arrived at the discharge location offshore Myanmar to meet SapuraAcergy’s S3000. Its impressive crane successfully lifted the module in a single lift operation, using the slings already laid out on the module’s deck. BigLift looks back on a project with great challenges, which were all solved to the satisfaction of the parties concerned. Happy Star lived up to all the expectations and successfully performed the job she is designed for.